EDINBURG, TEXAS – We are proud to endorse Senator Ted Cruz in the upcoming election for the United States Senate seat in Texas. 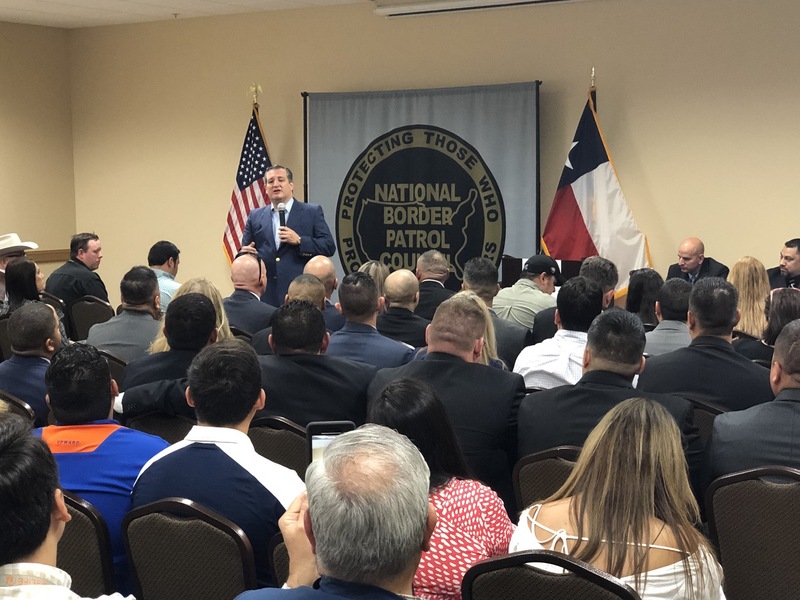 Senator Cruz has long supported the efforts of the United States Border Patrol and its agents to secure this country’s borders. He has shown a repeated willingness to stand firm in his convictions, even when the Democratic special interests try to shut him down with every political tactic at their disposal. If we had a Senate with more people like Ted Cruz we would be much further along in actually securing the border instead of just talking about securing the border to garner votes during election cycles. Unfortunately, many senators forget about what they promised as soon as the election comes to an end and we have to watch as they sell border security and their constituents out for 6 years. Ted Cruz has proven to be the same BEFORE, DURING, and AFTER the election. He is a man of principle and conviction. Washington D.C. needs more honest, hardworking men and women like Senator Cruz. We are confident and hopeful that the people of Texas will turn out in great numbers to support Senator Cruz. He won’t let you down. He can’t be bought and he will stand firm in supporting border security, which directly impacts both the national and economic security of this great nation. He is a true friend of Border Patrol Agents and our mission. We look forward to a long relationship and with his help, border security will become a reality. We ask all Texans to please stand with those who put their lives on the line to protect our borders and vote for Senator Ted Cruz. A sovereign nation must control its borders. Please vote for Ted Cruz to help us do our jobs. President Trump responds via Twitter to National Border Patrol Council President Brandon Judd’s interview regarding a caravan of immigrants headed to the U.S. Border. How bad is the situation at America's southern border?